Traveling is discovering, exploring, learning about and falling in love with new places through the senses. In the Sierra Madre Occidental Mountains, very close to Puerto Vallarta, lies one of those destinations that enchants every one of its visitors: historic mining town San Sebastián del Oeste, where you can admire its distinctive architecture and natural landscapes, listen carefully to the sounds of nature and the deep calm of the echoes in the absolute silence of its cobblestone streets, delight your palate with the authentic and always exquisite gastronomy typical of Jalisco’s mountains, inhale the intense aroma of local coffee and breathe the purest air, and even touch the walls of mansions and haciendas from those earlier years and feel the stories that took place within them or on the roads that run through the forests and hills. Our trip began at 8:00am on a Saturday, taking the road that goes from Las Juntas to Las Palmas. Passing this section, we notice how the tropical vegetation of our area begins to give way to the landscape of the sierra, where oaks, pine trees and a much cooler climate predominate. After approximately an hour, we cross the Progreso Bridge, an impressive work of engineering spanning a 425-foot-deep ravine. 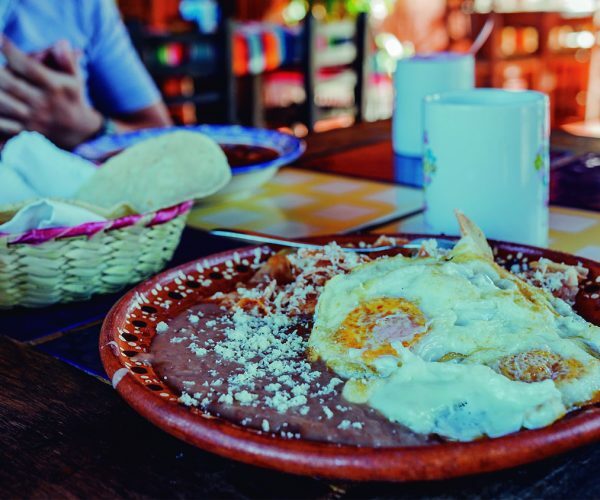 A couple of minutes later, we stop in the town of La Estancia de Landeros, for breakfast at one of the several rustic restaurants along the road, where we enjoyed authentic Mexican food accompanied by exquisite coffee. Back on the road, we drove another 15 minutes on the winding, ascending road that leads to this designated pueblo mágico situated 4,595 feet above sea level. We passed through the welcome arch and toured the main street, noticing the local architecture, mansions and colorful, stately buildings covered with stone and tile, a reminder of the wealth and importance of this place during its most prosperous period. On entering town, we are struck by the tranquility of its streets. When we reach the main square, adorned with a beautiful French-style quiosco, a meeting place for residents and visitors, we admire its gardens and the old-fashioned construction of the surrounding buildings, signs with classic typography and columned porticoes, where some locals are playing dominoes and drinking coffee. This is the nerve center of San Sebastián del Oeste, which makes it hard to imagine that it once was the most vibrant zone of a mining and commercial town that grew to have a population of more than 20,000 in its heyday (in contrast to today’s barely 700). 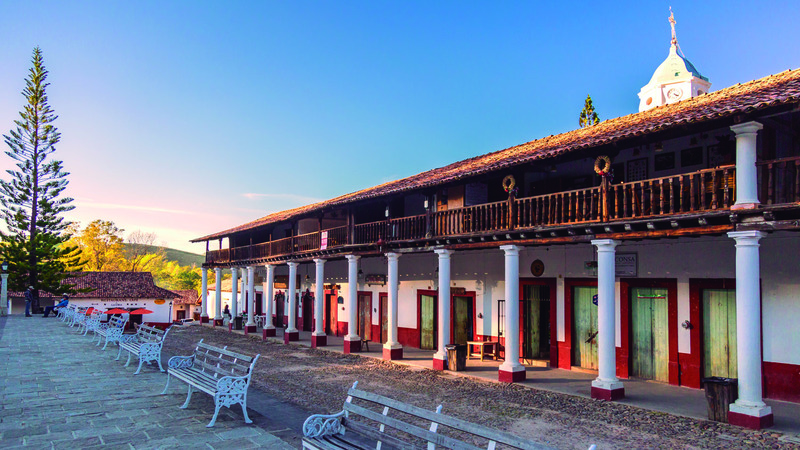 In fact, during the colonial period between the 17th and 19th centuries, it was one of the most important mining centers in the country, yielding great riches still reflected in the remaining mansions, now converted into boutique hotels. Without going far, we arrive at the Templo de San Sebastián, constructed in 1608, to admire its neoclassical-style entryways and interior. And close by, City Hall is another example of the historic architecture that still remains intact. Strolling the narrow streets, we notice other unique buildings, with plaques providing information about their history and importance. 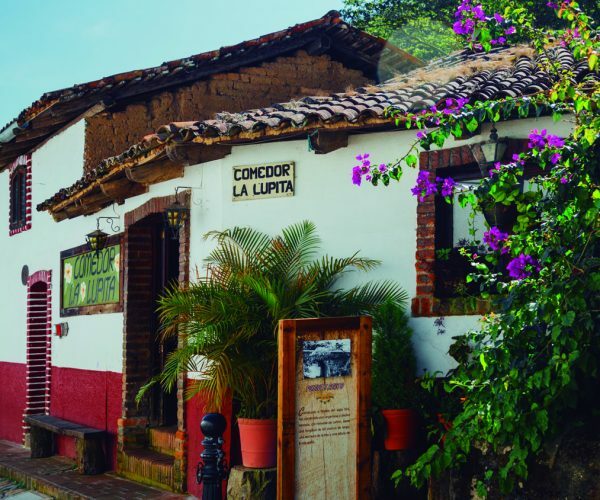 Lastly, we arrive at the Casa Museo Doña Conchita Encarnación, which features a collection of vintage everyday objects that evoke the past, to learn about those who had been among the town’s most affluent families. We recharge our batteries at one of the several restaurants in the immediate vicinity of the plaza offering Mexican food before heading to our next destination. After a short walk, we arrive at the office of Malibrí Turismo, a local tour agency that would take us by truck to the top of La Bufa hill, about a 50-minute drive. The ride up the dirt roads, surrounded by trees and embraced by the silence broken only by the rumble of the engine, is an adventure. 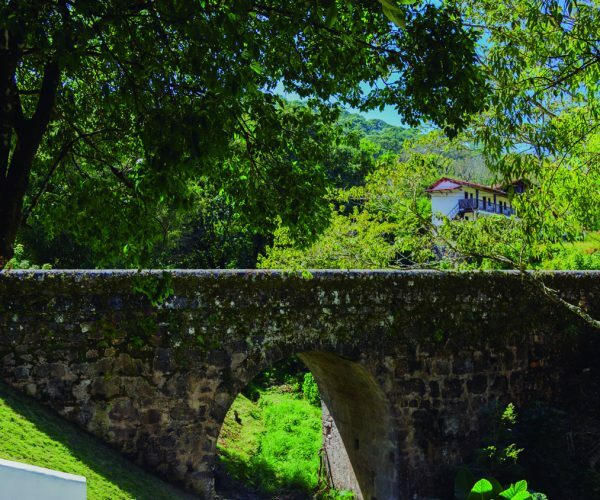 We make a detour to Real Alto, a small town of wood and stone houses nestled in the mountains, its main attraction is the 400-year-old religious temple venerating Our Lady of the Rosary. Despite its very rustic white facade, inside you can feel the antiquity and serenity. Back on the road, we come to a point dominated by a large telecommunications antenna. To get to the lookout, we then did some walking (so we recommend wearing comfortable shoes). After walking through the forest for about 10 minutes, we arrived at La Bufa. An impressive place, 8,530 feet above sea level, from here you can appreciate the immensity of the horizon in all its splendor and part of the Sierra Madre Mountains. If the day is fair, you can clearly see San Sebastián del Oeste, La Estancia de Landeros and even Banderas Bay. It was cool and cloudy for our tour, but that also has its charms. Seeing the mountains covered by a white blanket, feeling that you are above everything, that was an indescribable sensation we will never forget. Take the time to see, feel, smell and hear all that this setting has to offer. 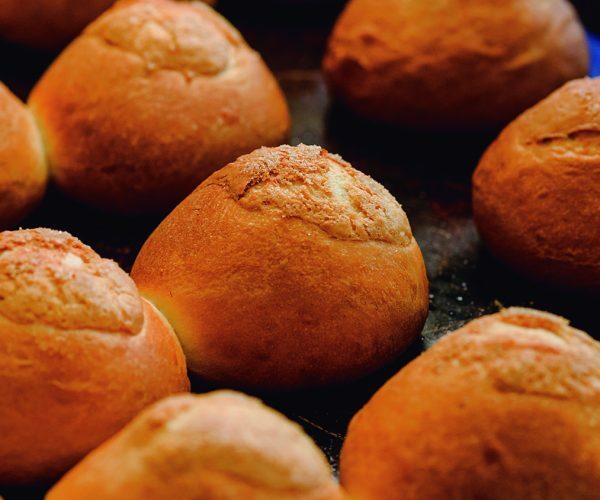 By the time we get down to the village, it is already nighttime, so for a bedtime snack, we stop at the café in the plaza for a delicious local coffee, accompanied by some cookies and pastries. To take full advantage of the new day, we got up early, had breakfast and started out for another walk. But instead of going into town, we head out to where the mines used to be. It is a perfect hike: breathing the clean air, feeling in contact with nature and finding the location of the riches that spurred the greatness of San Sebastián del Oeste a few hundred years ago. After about 30 minutes of walking, we arrived at the access to the Santa Gertrudis mine, which had the highest productivity in its time and remained in operation until the 20th century. It is the only one open to the public, and you can go in a few yards to take a photo. By the time we get back, it is time to head home, but before leaving this truly magical town, we buy a few souvenirs—some of the delicious flavored rompopes, ponche, guava rolls, bread, cookies, coffee and raicilla—so we can give family and friends a little taste of what we enjoyed during this unforgettable adventure.